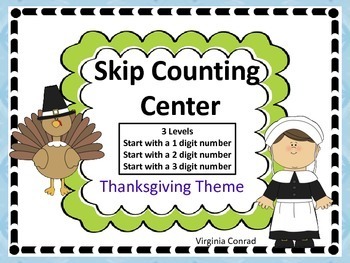 Get ready because your students are going to love this skip counting center! They are going to love the Thanksgiving graphics. Just copy, laminate and cut out the cards and the center is ready to go. There is a student answer sheet and answer keys included. 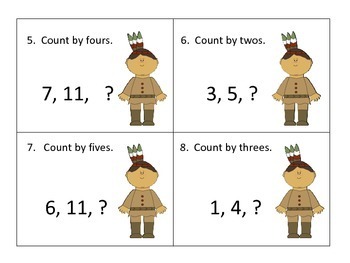 This center can be differentiated very easily and quickly. Just tell students which center to go to---level 1 with 1 digit numbers to start with, level 2 with 2 digit numbers or level 3 with 3 digit numbers. There are 20 cards in each set. Have fun skip counting in your class! If there is a level you don't need, surprise a teacher down the hall!